Targeted and immunotherapy have revolutionized the systemic and adjuvant therapy in late stage melanoma. Recent pre-clinical and clinical data indicate that neoadjuvant immunotherapy might be superior to adjuvant therapy. Neoadjuvant therapy can bear several advantages, allowing one to 1) determine therapy efficacy within the individual patient for possible additional adjuvant therapy, if needed, 2) reduce tumor burden before surgery, 3) utilize pathological response data as surrogate outcome markers for relapse free and overall survival, and 4) identify biomarkers in a homogenous patient population. For these reasons (except latter), neoadjuvant therapy has become a standard of care in high tumor burden breast cancer. In the case of T cell checkpoint blockade, neoadjuvant therapies could bear a fifth, and potentially significant, advantage. T cell checkpoint blocking antibodies enhance T-cell activation at the moment antigen is encountered, and drug exposure during the time the in-situ malignancy still provides a major source of antigen may therefore potentially induce a stronger and broader tumor-specific T cell response. 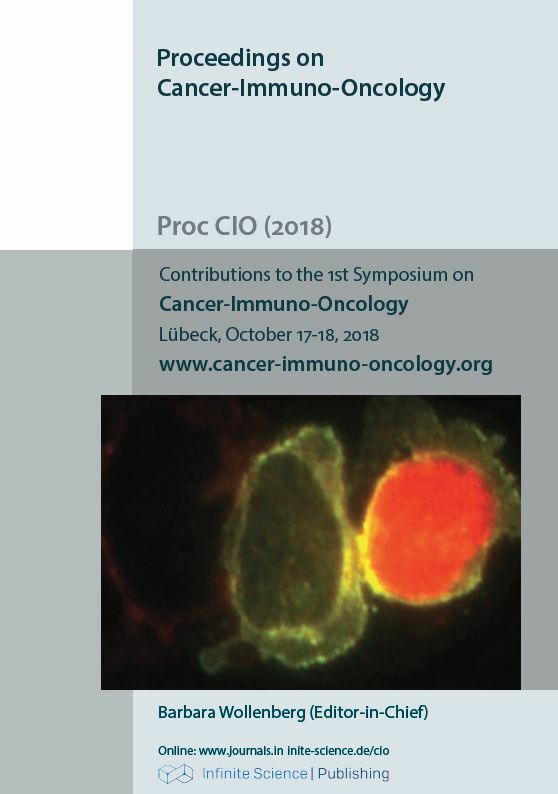 I will present pre-clinical and clinical data supporting this notion, present early clinical data supporting these ideas and will give an outline for effective biomarker identification, that will lead towards personalized combination immunotherapies.